Efforts to increase efficient nutrient use by crops are of growing importance as the global demand for food, fibre and fuel increases and competition for resources intensifies. The Molecular and Physiological Basis of Nutrient Use Efficiency in Crops provides both a timely summary of the latest advances in the field as well as anticipating directions for future research. The Molecular and Physiological Basis of Nutrient Use Efficiency in Crops bridges the gap between agronomic practice and molecular biology by linking underpinning molecular mechanisms to the physiological and agronomic aspects of crop yield. These chapters provide an understanding of molecular and physiological mechanisms that will allow researchers to continue to target and improve complex traits for crop improvement. 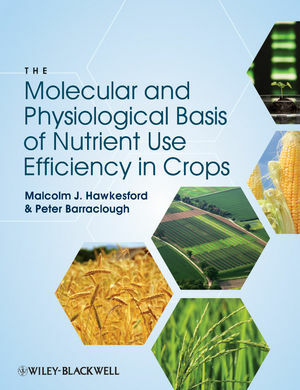 Written by leading international researchers, The Molecular and Physiological Basis of Nutrient Use Efficiency in Crops will be an essential resource for the crop science community for years to come. Malcolm J. Hawkesford is Deputy Head of the Plant Sciences Department and Project Leader of the Nutrition Group at Rothamsted Research, UK. Peter Barraclough formerly a Group Leader in Crop Nutrition at Rothamsted Research, UK, now retired.